The Silver Oak Elementary PTO exists to support Silver Oak Elementary School in developing and maintaining its heritage of outstanding academic performance. In order to accomplish this, Silver Oak Elementary School partners with and relies on funding from the Evergreen School District and Silver Oak PTO. With support of the PTO, Silver Oak students participate in a broad range of enrichment programs that help to provide an exceptional educational experience. Our unique partnerships complement one another to provide a full spectrum curriculum that ranges from common core subjects to specialized enrichment programs and leading edge technology. To achieve the high standards set by the staff, parents and students of Silver Oak Elementary, the PTO requires your support. Silver Oak parents help to ensure the continued success of the school and reap the benefits of a “Silver Oak” educational experience. PLEDGE YOUR SUPPORT: Your annual pledge per student is tax deductible and will help keep alive all of the PTO funded programs (S.T.E.M., art, music, and language arts) that are not funded by the school district and enrich the lives of your child(ren) and family at Silver Oak Elementary. Our Pledge Drive campaign runs August through September. To learn more, please see our Annual Pledge Drive web page. VOLUNTEER: We have volunteer needs of all shapes and sizes. The more our parent community comes together to work as a team, the easier it is to offer amazing programs and events that directly benefit our children. Whether you would like to lead a program/event team, consider shadowing for a position on the board, or simply volunteer your time to help at an event or in a program... we would love to hear from you. Please visit the Get Involved web page or email the PTO Board with your volunteer interests. The PTO Pledge Drive is an annual Parent Teacher Organization fundraiser that raises money for Silver Oak school programs that are not funded by the School District. Such programs encourage educational enrichment with an emphasis on STEM (Science, Technology, Engineering and Math), Language Arts, Reading and Fine Arts, and are only made available by your direct and generous contributions. 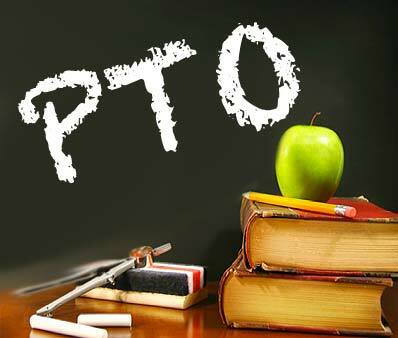 Silver Oak PTO is looking for parent volunteers to help coordinate our exciting PTO events for the school year. If you haven't already volunteered, please consider becoming a part of what makes Silver Oak the best school. Visit the Get Involved web page to learn more.